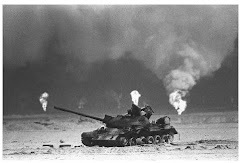 (MADISON – Wisconsin Veterans Museum Press Release) - The Wisconsin Veterans Museum will open The Scorching Desert Sun: A Wisconsin Photographer Chronicles Operation Desert Storm exhibit on Friday, January 14, 2011. The exhibit will remain on display until March 31, 2011. As a photographer for the 28th Public Affairs Team, U.S. Army Sergeant Mike Weber documented the actions of the 82nd Airborne Division during the ground phase of Operation Desert Storm. From the capture of prisoners-of-war and the confiscation of ordnance, Weber saw it all. 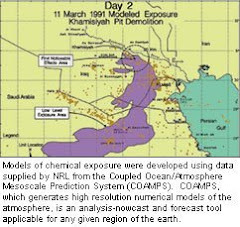 The latter action, though, has proven to be the most difficult as Weber, like many of his fellow Gulf War veterans, still suffers from the effects of exposure to leaking or detonated chemical weapons. This photography exhibit, culled from the collections of the Wisconsin Veterans Museum , chronicles Weber’s tour in Iraq , from staging in Kuwait , to the charge into Iraqi territory, and the American interaction with Iraqi civilians. Operated by the Wisconsin Department of Veterans Affairs, the Wisconsin Veterans Museum is committed to honoring Wisconsin ’s military veterans and their role in shaping our nation’s history through unique collections, award-winning exhibits, and educational programs. The department and the Museum are located at 30 W. Mifflin St. in Madison , across the street from the State Capitol. For more information go to www.wisvetsmuseum.com.